The next in line-up for a hosting review is the well known Media Temple. This company offers plenty of plans for any kind of hosting needs but the most attractive for us (obviously) are the Managed WordPress Hosting plans. Today I’m going to review the Media Temple WordPress hosting Personal Plan. I’ll go over the features and performance to give you a look at what to expect from Media Temple. 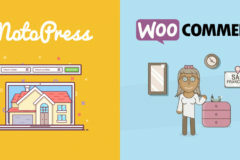 Media Temple offers two plans for WordPress (Personal & Pro) and the features are really good compared to the competition. For starters Media Temple offers up 50GB of storage on the Personal Plan which is superb by any standard and a limit of up to 250,000 visits. In fact, both plans have such a good price that I feel tempted to score it higher than the rest for features alone. Media Temple offers 24/7 expert chat (which is something that I actually tested) and have Stage & Cloning, 30 days backup & restore and Malware detection & removal with both plans. The only drawback in their offering is the lack of free Let’s Encrypt support (you’d have to integrate it yourself). SSL certificates are not cheap, but if you take into consideration the already more than reasonable cost of Media Temple’s hosting options adding on SSL is doable. At first glance the interface looks superb. The modern style lets you handle most of the features of the plan via the admin tab. Every other option can be found there including CloudTech, Security & CDN which is also a nice plus. Plus add-on services which gives you access CloudFlare control for free as well as the Support Center if you need assitance. You can add hosting or domains to your main plan by clicking the Add Domain button (under Services in your admin panel) and following along with the intuitive and easy to work with prompts. Once you select a domain to admin you’ll be greeted with website status, from this menu you can create more sites (according to your plan) or remove them. You can also import an active site, which is what I’m going to do. Media Temple does not require any external plugin to be installed, it will only ask for FTP and WordPress credentials. Once done, your site should be online and ready at your designated domain. Fun fact: you can even play a space shooter game and try and beat the high score while you wait! Once the process is finished, your site should be up. Sadly for me, mine wasn’t. After the third time trying to import the site I hit a wall and then I decided to put the 24/7 expert tech support to the test. Contacting Tech support was such a good experience. For starters, the chat button is right there all the time. Whatever you’re doing on Media Temple, chatting with support staff is one click away. I explained my problem to the support expert and they quickly pointed out that I needed to import on a live site. Even when the message afterwards says I’ll need to wait up to 2 hours, my site was ready to go in less than 15 minutes. This alternative way of importing worked the first time and tech support was able to fix my issue in less than 1 minute! Once the site was migrated, I could start working with the options given. Media Temple offers phpmyadmin mysql manipulation which is incredible generous considering the way most managed WordPress hosting providers limit their customers and they offer the option to manage the themes installed on your site. Before the site could be live I needed to assign a domain (a subdomain in this case) which is something I know for a fact can be complicated, specially on managed hosting services. Media Temple managed to surprise me once again with another extremely powerful domain manager. Media Temple will allow you to set your own custom domain and handle your DNS entries yourself so you’re actually in full control of your domains. They don’t impose any kind of limitation and the way their options are setup even invites you to handle your website with freedom. You can even point your domain to Media Temple and let the service handle DNS entries. The way they have this setup is extremely user friendly. So far, without a doubt, Media Temple is one of the least restrictive Managed WP Hosting services I’ve tested and with an intuitive control panel that is also modern in looks. Once the site was live at mediatemple.thetechieblog.com I was able to test it’s performance. From San Francisco the performance is on par with what I’ve seen from other services. The performance from Australia is also very good with less than 5 seconds average. Also, by taking a look at the header response, we can see that Media Temple is using some kind of caching mechanism on our site, this combined with the Free Cloudflare support and the added bonus of CDN, which is another service they offer as an add-on would make for an astonishing performance improvement. Taking numbers directly from GTMetrix you can see that load time is less than 4 seconds. This coupled with WP Caching plugin and CloudFlare support would make this service ideal for performance. Media Temple breaks all the rules of traditional managed WordPress hosting by offering more flexibility coupled with a tremendous amount of addons and extra services like: Backup & Restore, Malware Scanning, Cloudflare support, a CDN service, full control over domains & DNS, tons of storage space and truly good tech support. All this options combined makes for an incredible good service, so good that completely crushes all the other Managed WP Hosting services I’ve tested so far. If you’re looking for a good WP Managed Hosting service, Media Temple has one of the best in the market, period. Have you tried Media Temple’s WordPress hosting? We’d love to hear about your experience. Or if you have nay questions feel free to ask in the comments section below. Is Akismet Still the Best Spam Plugin for WordPress?